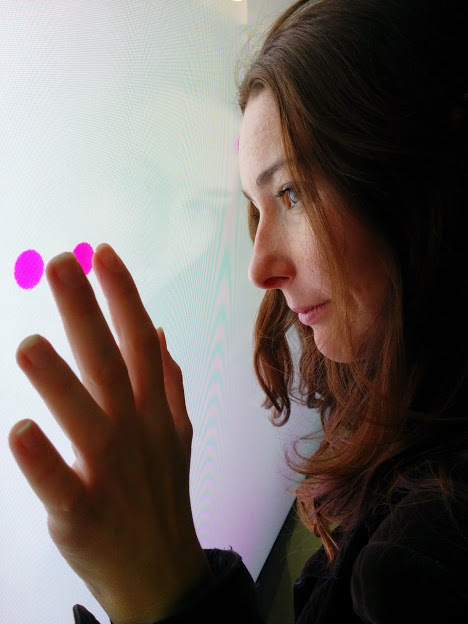 Dr. Kate Sicchio is a choreographer, media artist and performer whose work explores the interface between choreography and technology. Her work includes performances, installations, web and video projects has been shown in Philadelphia, New York City, Canada, Germany, Australia, Belgium, and the UK at venues such as Banff New Media Institute (Canada), WAX Brooklyn (New York), FoAM (Brussels) and Arnolfini Arts Centre (UK). Her PhD focused on the use of real-time video systems within live choreography and the conceptual framework of ‘choreotopolgy’ a way to describe this work. Her research has been published by Leonardo Electronic Almanac, Computer Music Journal, Media N and Learning Performance Quarterly. Kate Sicchio has had extensive teaching experience within higher education. She has taught interactive technologies, choreography and many subjects in between to both undergraduate and masters level students. She is a visiting lecturer at University of Malta. She was most recently Senior Lecturer in Dance at University of Lincoln, Lincoln UK. She is currently adjunct faculty at Parsons The New School for Design in New York City. "Hacking the Body 2.0" will be an exploration of live coded electronics and improvisational movement. A dancer wearing a custom garment of haptic actuators be accompanied by a live-coded score by the choreographer. The dancer will explore and interpret this live haptic feedback as a way of generating dance. This piece will explore the live coding of bodies and movement as output rather than a sonic or digital visual output as found in many live coding performances. Kate will be showcasing a new work "Hacking the Body 2.0" at this year's ART+TECH Festival MOVEMENT on October 23rd + 24th, 2015.